winnietsuii: Blog Award(s)? Long time no see! 2. Post seven things about yourself and answer the list of favorite questions. 3. Pass these awards to 15 bloggers. 4. 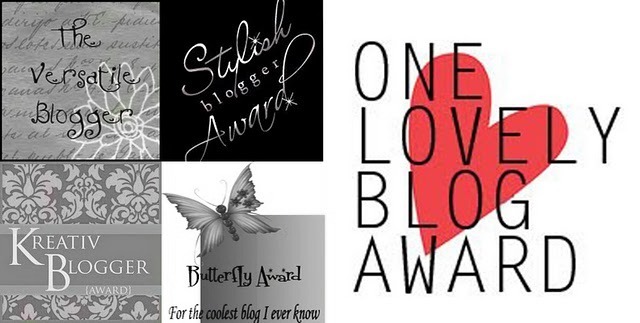 Notify the lucky bloggers who got these awards. 1) My nails are always painted and I do not allow them to be chipped. If you could spot me with chipped nails, that means something was wrong with me, physically or mentally. 2) I might seem confident, but am actually humble, ultra shy and conservative wtf. 3) I do not like rice. For the matter of fact, I actually stopped eating rice on a daily basis for years. Call me Asian. 4) I love Shangahi and don't like Beijing. 5) I will be getting married in Greece or Istanbul, Turkey. No doubt about it. 6) I am indeed a human on the outside but a travel bug on the inside, probably got those genes from my parents, hopefully wtf. 7) Growing up in a British colony, I have a limitless pride about my nationality. I have nothing against China. But if you ask me where I am from, I always answer Hong Kong. What pisses you off: People who accuse others out of their insecurities. Your favorite pet: I dont have one but if I did it'd be a goldfish.